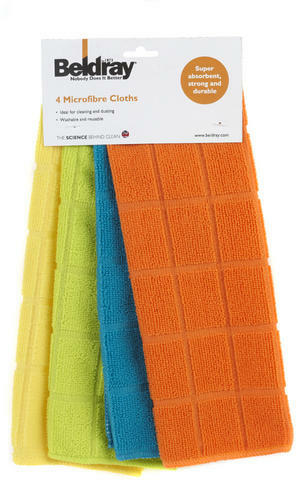 Microfibre cloths are the future of cleaning. Made with millions of tiny fibres, they do not just push dirt around a surface, but collect the dirt and hold it until you wash it out of the cloth. 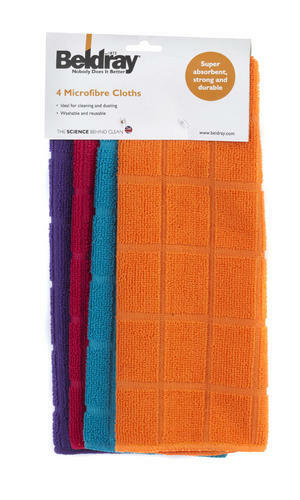 They can be used for polishing, wiping or scrubbing and are ideal for everyday use on any surface of your house. 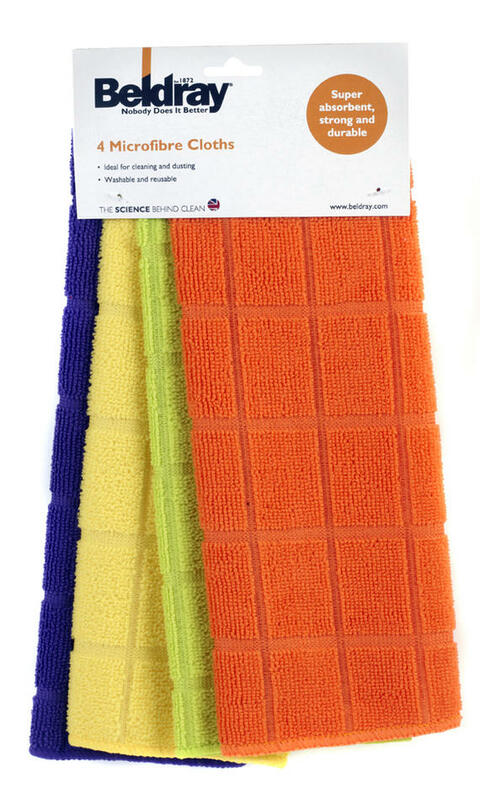 Microfibre cloths eliminate the need for cleaning products and can administer a wonderful, hygienic clean simply with water which is perfect if you prefer to enjoy a chemical free home. 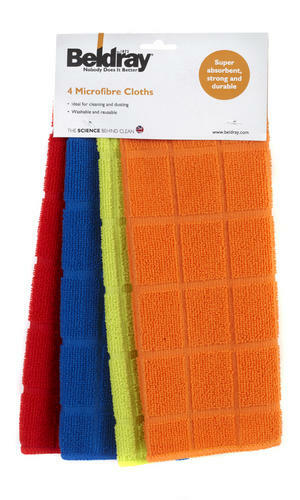 A pack of 4, these colourful microfibre cleaning cloths contain millions of fibres which pick up, lock in and contain dirt and grime. The robust cloths are hardworking and durable, able to guarantee an effective clean and more uses before needing to be replaced. Made from polyester, each cloth measures 30 x 30 cm and is able to cover a large area for maximum cleaning power in minimal time. Suitable for most surfaces in the home, microfibre cloths are non-abrasive and will not leave marks or scratches on your furniture. Microfibre cloths can be used with your chosen cleaner or water alone for chemical-free cleaning with brilliant results and no residue.